Experience has taught mosquito control personnel that homeowners can create their own mosquito problems. Homeowners can do some simple things that will reduce the number of mosquitoes in their yard. It is possible to generate large amounts of mosquitoes around the home with small amounts of water. Not only are these insects pests they also play a significant role in the transmission of West Nile Virus. Mosquitoes can have many generations in one year and in the heat of the summer they can go from egg to adult in about a week. The best way to prevent mosquito production is to remove any objects that hold water from your yard. Below is a list of common objects or places that produce mosquitoes. Tires. Old tires are notorious for producing large numbers of mosquitoes. 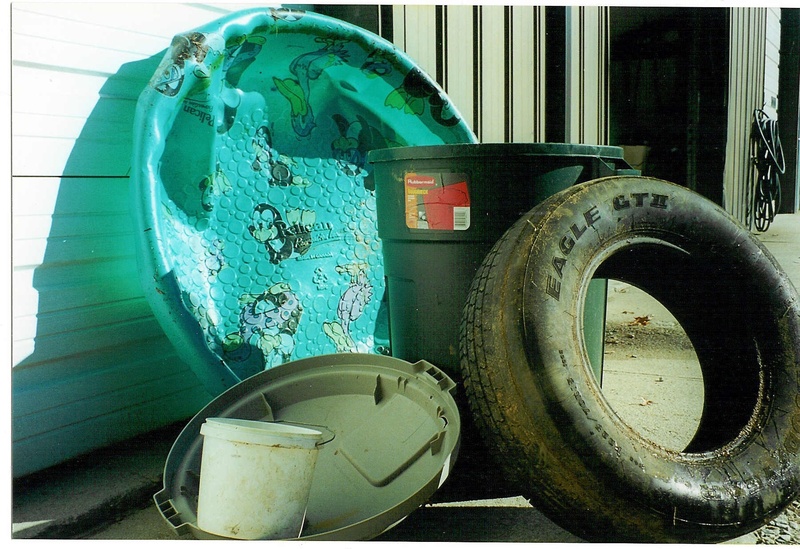 If you are storing tires, put them in a shed or garage. If you have a tire swing, put a hole in the bottom of it so it cannot hold water. Gutters. 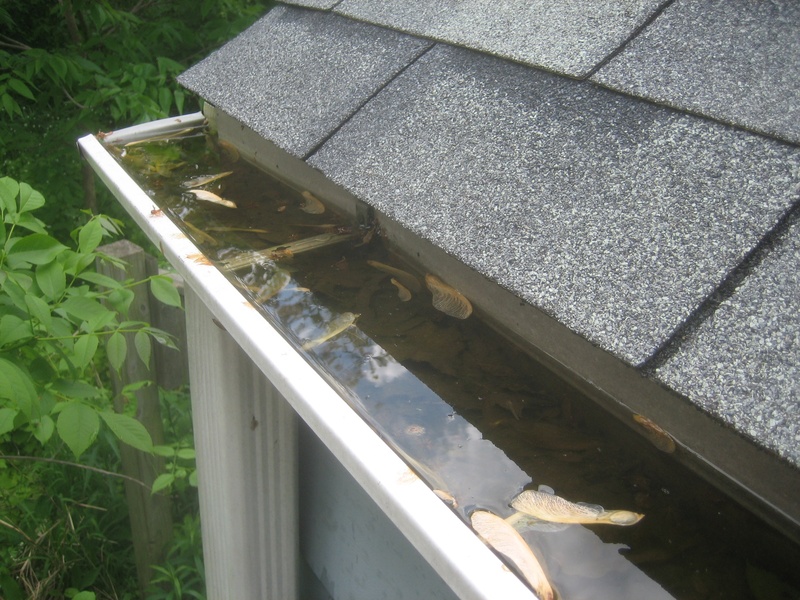 Rain gutters on houses tend to fill up with leaves and other things that clog the gutters. This material can cause gutters to hold water long enough to produce mosquitoes. Swimming pools. Any unmaintained pool is large enough to produce ample mosquitoes to bother the whole neighborhood. Keep your children’s pool full of clean water and make sure all swimming pools do not become full of algae or leaves. Flower pots. Old flower pots or dishes underneath the flower pot can hold enough water for mosquito larvae. Gardening tools. Garden tools such as wheelbarrows or shovels. Toys. Toys left outside can collect water. Bird baths. Bird baths should be emptied and cleaned once a week to prevent mosquitoes. Garbage cans and lids. Make sure there are holes in the very bottom of your garbage can. Tarps. Frequently people use tarps to cover items such as wood, boats or to make a fort. Always keep the tarp tight and drain any water off the tarp. Boats. Any boat, or tarp covering a boat can hold water. Make sure the plug in the bottom of the boat is open so water can drain from it. Other. Buckets, soda cans, pet dishes, washing machines, old cars, refrigerators, watering troughs, bath tubs and basements.